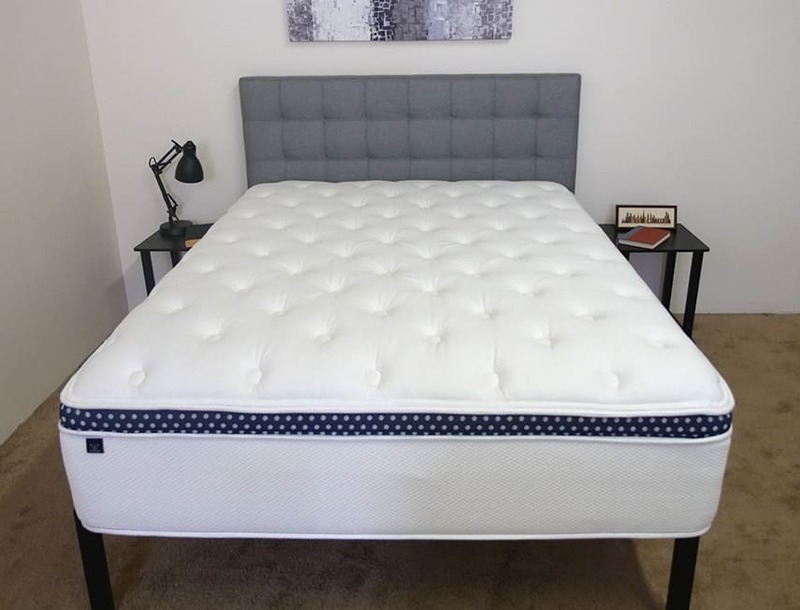 Home » WinkBeds Mattress Giveaway! We’re bring you another fantastic giveaway inspired by our recent roundup of the absolute Best Cooling Mattresses on the market. We’ve already got contests for Purple, Ghostbed, and Loom & Leaf going strong, but thought we’d spice things up with a new one from WinkBeds! Built with a plush pillow top and a buoyant coil-on-coil structure, the WinkBeds is a great option for a wide range of sleepers, especially those interested in some luxurious support. It also sleeps super cool, so could be a solid pick for anyone who tends to overheat while they slumber. So far it seems like the Zenhaven would be the best for me. I would love to try out this bed. The best mattress for me, so far, is a toss-up between the Zenhaven and GhostBed Luxe. I would love to have either one, or any new mattress for that matter. I really need something new! Looks like guaranteed “sleep comfort” from Sleepopolis! Loom and leaf looks like a great bed! I would like to try the Leesa. This bed looks awesome and super comfortable. I like several of the mattresses that have been reviewed. I am drawn to the Purple Mattress. Loom & Leaf please ! I have had my same bed for 4yrs now and its so wore out it kills my back and hips every night. I know sleeping on this bed would be like laying on a cloud in heaven. Thank you for this great chance . interested in some luxurious support form Wink beds Mattress! I liked more than one. Avacado brand was most intriguing. Another cooling mattress, but with coils. loved the review for the leesa mattress and the loom & leaf mattress review. I’ve read most all the reviews & I find that the Winkbed & the Leesa beds are quite right for me. looks and from the info sleeps great! Winkbeds is the most premium, luxurious looking hybrid mattress online. The only drawback is the fact it doesn’t have handles, so moving it would be a HUGE challenge. Loom & Leaf Mattress is my favorite and I’d love to win one. Thanks for the chance. The wink bed is my favorite. The construction of this bed looks great. I like the Purple but I also like the Zenhaven mattress. So hard to decide. I like the Zenhaven Mattress the most. Money no object, probably the Ghost Luxe bed would be my pick. Just keeping my fingers crossed! I just can’t choose just one favorite because they all sound wonderful! I like that this one sleeps cool and has the plush pillow top, all makes for a comfortable sleep. Besides being a cooling mattress, I like how it has the inner springs for back support..something needed at my age..lol!! The Wink Bed looks very comfortable! The Purple Mattress is my favorite! These all look wonderful and it is something we will need in the future– thanks for a chance to win one. I would say Idle Hybrid is my favorite so far. Overdue for a new mattress! I love Nest, but this WinkBed looks great! This sounds like a great mattress for me. Love to win! My favorite of the Best Latex Mattresses reviewed is the Idle Mattress. I really like the wink mattress and would love to win one. The Zenhaven appears to be best to me. The Avocado Green and the Idle Hybrid are on the top of my list but a lot of them have reasons I would like them. The WinkBed is the best one I have seen reviewed. I’m impressed wit the edge support. spine align pillow. I have scoliosis and this looks like it would help!!! All of the mattress look wonderful, but the Purple mattress is special to me. Would love to win this mattress!!! They’re all my favorite lol They’re all so much better than my bed. GhostBed looked like a great fit for our family! I really liked the design, how it’s constructed, and the latex over memory foam. This look like such comfy beds. I could most definitely use one with buying everything by kids need I haven’t been able to get hardly anything I truly need. Thanks for this chance and good luck to everyone else. This WinkBeds mattress sleeps cool, it sleeps super cool, so could be a solid pick for anyone who tends to overheat while they slumber. So you could get a great night’s sleep without feeling over heated. This would be awesome to own! Winkbed is my 1st choice for sure!! It has everything I want in a mattress. Love all the mattresses offered this week! I do like the Wink Bed is a hybrid innerspring as that’s what I’m used to. Being a hot side sleeper I’d definitely like to try the soft version. The mattress I have now is so uncomfortable that my husband sleeps on the memory foam couch in the living room. You would save my marriage if I won. LOL . Just kidding. We both have bad backs so maybe this would be great. Thank you for the opportunity. Never heard of this brand before, but sure looks cozy! I think Winkbeds is my favorite. I like the purple and the Layla mattress. I have a twin adjustable bed. Will your mattress work on my bed? The Zenhaven and the Spindle are my favorites of the latex mattresses you’ve reviewed. THIS IS IT! This is the one I’ve been waiting for! I would looooove to own this mattress. WinkBeds is my favorite of all. There are so many wonderful beds, there is something for everyone! I love that you do such great reviews, provide guides and show us how the beds are constructed. Thank you Sleepopolis! The purple through this one looks nice also. Latex for Less is my favorite latex mattress because it is flippable and Wink Beds is my favorite cooling mattress. Loom and leaf would be the perfect mattress for me for having a bad back and Nick and also from being hot. This is an awesome giveaway good luck everybody.